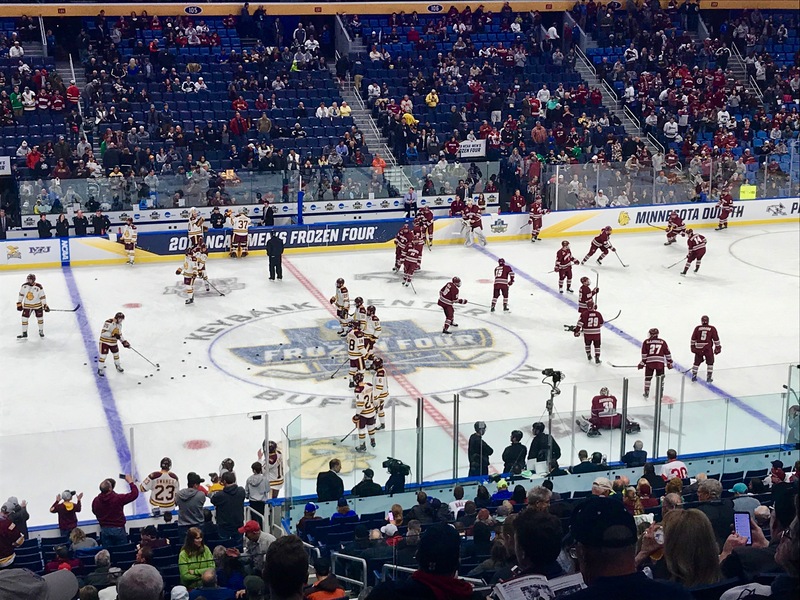 UMass vs UMD in the 2018-19 Title Game. For all the excitement and anticipation, the championship game did not meet the standards of either of the two semi-final games. Duluth’s Parker Mackay scored on a PPG less than 4 minutes into the first period, and never looked back. UMass looked tentative at first, and that look never really left them. The Bulldogs clogged the lanes, blocked shots, took out bodies and basically caused havoc to the fast paced offense of Massachusetts. UMD’s Mikey Anderson, on assists by Mackay and Justin Richards, put the puck in the net in period two. Then Jackson Cates scored in the third, and that was far more than Hunter Shepard would need in the Bulldog net. The Bulldogs would skate away with a 3-0 shutout win. Parker Mackay would win the tournament’s most valuable player award. No drama in this one. 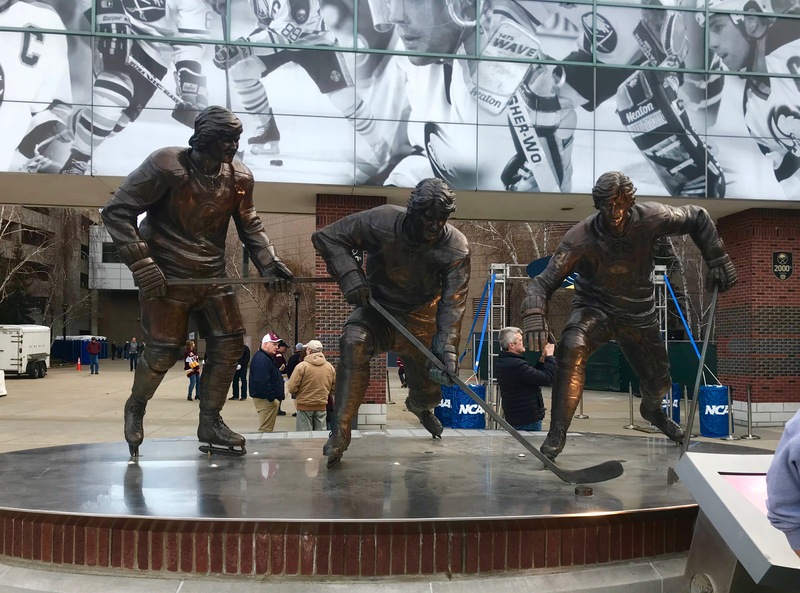 This entry was posted on Monday, April 15th, 2019 at 6:06 AM	and tagged with buffalo, hockey, Minnesota, new york, photo, UMass, umd and posted in sports. You can follow any responses to this entry through the RSS 2.0 feed. 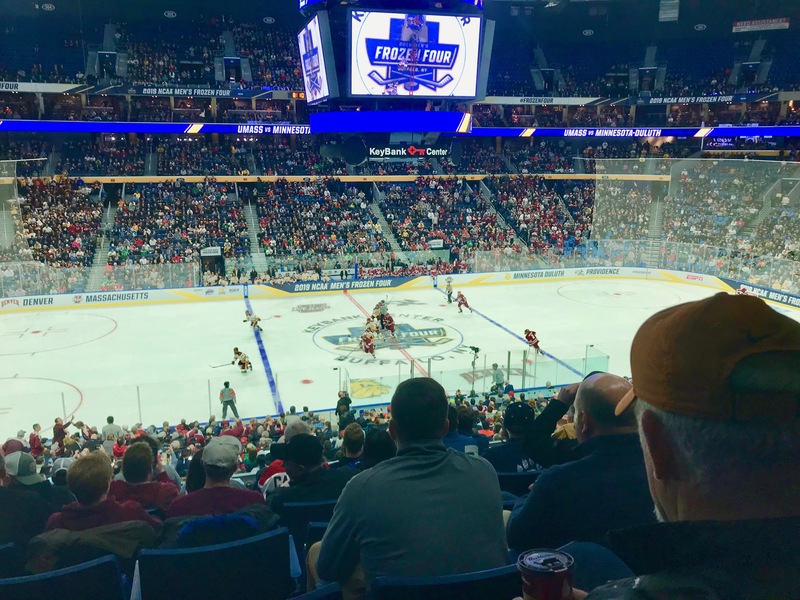 Thanks for your great Tournament and sightseeing reports from the Buffalo area. 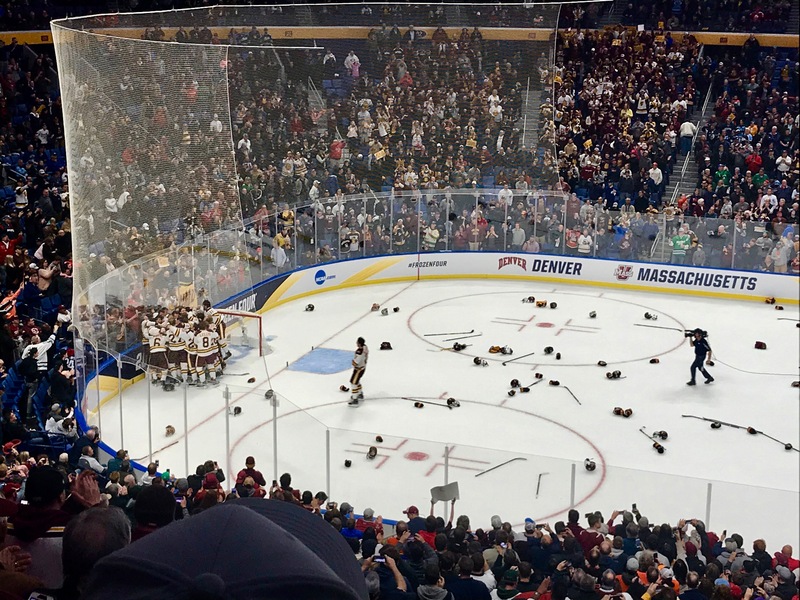 It seems current NCHC and former WCHA teams are on a roll winning the last four Men’s National Championships. Hope they can continue their winning ways next year in Detroit.